Join us on Facebook - Kiakai Park Paints. Jaye is the first and only horse in Australia with these genetics and so far we've been unable to find any others in the world with these colour genetics. We are looking still. Ch/n, D/n, Sb1/n, Ov/n, ee, Aa. 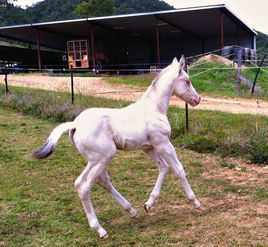 Currently the first and only colt in Australia with these colour genetics. Ch/n, Cr/n, D/n, To/n, Ee, Aa. Kiakai Park is situated in Queensland around 45 minutes from Mackay, in a small town called Gargett. We own a 75 acre property, nestled on the side of a lush mountain. 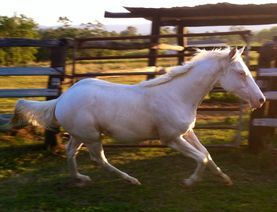 Our horses reside on pastured paddocks, and are used to running a muck on uneven surfaces. With the help of our resident, jnr studs in the making Double A Artic Shine & Kpp Raiznalilhell in training. We are focusing our breeding program on quality bred, versatile, rare dilute based paints, that have the whole package. 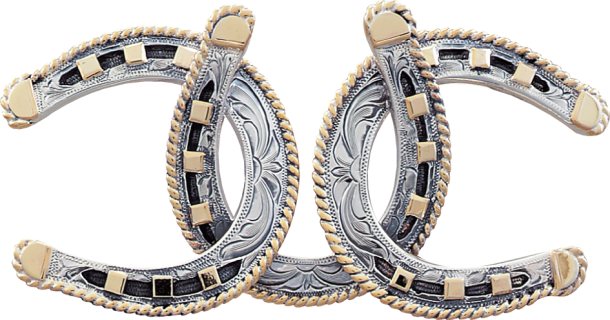 We have incorporated the Dun, Silver, Cream, Pearl and Champagne genes into our breeding program, with a good proven Quarter horse foundation. We are striving to breed rare coloured genetics, with quality bloodlines, conformation, temperament, ability, brains, beauty, colour and versatility into our foals, in other words the whole package. This is to offer you a wonderful array of choices, and rarity, when choosing your next four legged friend. Not to mention they stand out in the crowd, and have the wow factor. Our jnr stud colt in training Double A Arctic Shine, (PHAA - 15647 ) is a magnificent boy. Jaye is a Gold Dun Champagne Sabero. Making him a double dilute (not homozygous) double paint, with one of a kind colour genetics so far. Jaye is from proven versatile bloodlines on both sides of the family tree. We can't wait to see this boy mature and grow into a very tall unique stallion. Our newest jnr stud colt in training Kpp Raiznalilhell, (PHAA - 16029) is a miracle on four hooves, and was born on our property. Bailey is Australias' first Amber Cream Dun Champagne Tobiano, making him a triple dilute paint ( not homozygous ). With extremely rare colour genetics. Bailey is from proven versatile bloodlines from both sides of the family tree. This is a colt to keep your eye on, in the coming years. We are keeping our stallions progeny numbers low each year, we want quality not quantity.Thus ensuring your foals will be, of a higher market value, and not over run the horsing competition community. Last Updated - 29th August 2018. Please don't hesitate to contact us with any queries or questions. Email - [email protected] mobile - 0429 236 769. Please note - If you have a private number or block your number from me, I will not respond to your call unless you leave a message, due to annoying scammers and telemarketers.